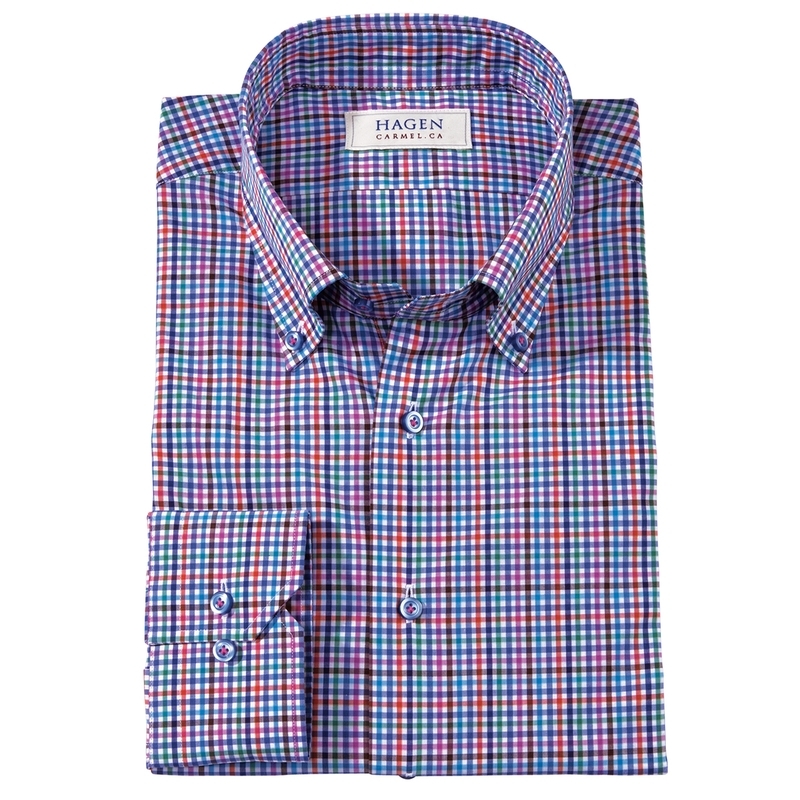 William Micro-Check Shirt by Hagen of Carmel, in a vivid medley of spring colors, in soft 100% cotton. With button-down collar, long sleeves. Imported.